There’s been a lot of talk about bringing the designated hitter to the National League. I sort of hope that they do, but with some significant reservations. I hate the designated hitter even more than I hate seeing the Mets bullpen blow games. It’s my second most hated baseball institution today. The first is the pitch count and in a round about way, I blame the former forcreating the latter. Follow my thinking here: in 1973 when the American League implemented the designated hitter, American League starting pitchers began to pitch an obscene number of innings each year. Compared to 1972 , the number of pitchers who threw over 300 inningsroughly tripled in 1973. With no need for a pinch hitter in late innings, Gaylord Perry tossed 344 innings and Burt Blylevan pitched 325 innings. On his way to his record of 383 strikeouts in a season, Nolan Ryan pitched 326 innings. In comparison, not a single National League pitcher topped 300 innings in 1973. Phil Niekro (a knuckleballer) was the only National Leaguer over 300 innings in 1974 and Andy Messersmith was the only pitcher to top 300 innings in the National League in 1975. It doesn’t take a rocket scientist to observe a causal relationship between not having to lift a pitcher for a pinch hitter and a jaw-dropping number of innings pitched. The pinch hitter in the National League, despite the strategy intrigue it invites late in games, acted as a natural check on the wear and tear on starters’ arms. Add in to the equation that if a team has a designated hitter, it has fewer weak spots in its batting order. Where in the National League, a pitcher gets a brief reprieve in the other teams No. 8 hitter and the pitcher, every line up in the American League could be stacked from top to bottom. So not only is the American League pitcher throwing more innings because there’s no pinch hitter to preserve him, but he’s working harder against tougher hitters in those innings. The designated hitter was turning the American League into a slaughterhouse for pitching arms worthy of Upton Sinclair. Without the obvious decision to lift a starter that the pinch hitter provides, managers and pitching coaches had to base their pitching change decisions on whether the starter was “tired” – a largely subjective standard. They used to be able to tell if a pitcher was tired. Sort of. Arm angle. Control. Velocity That kind of thing. Sometimes they could only tell if a pitcher was tired when hits off of him were flying into the parking lot. Imprecision is so inconvenient sometimes. They needed criteria that was more precise. Hence the pitch count. Because some Bill James fellow or insurance actuary decided that a starter generally loses his effectiveness around the 100 pitch mark and every major league team blindly decided to believe them, we now have a pitching change trigger even more automatic than the National League pinch hitter ever was. Ironically, when the American League abandoned one device that automatically checked pitchers’ innings, it inadvertently created another device that limited pitchers’ innings even more automatically and artificially. What I am about to propose should be obvious, but apparently isn’t: Forget about pitch counts! The Mets starters are their best pitchers and they need to pitch as much as possible if the Mets are to win. Relief pitchers are not as good as starters in any bullpen in major league baseball. That’s why they’re relievers. 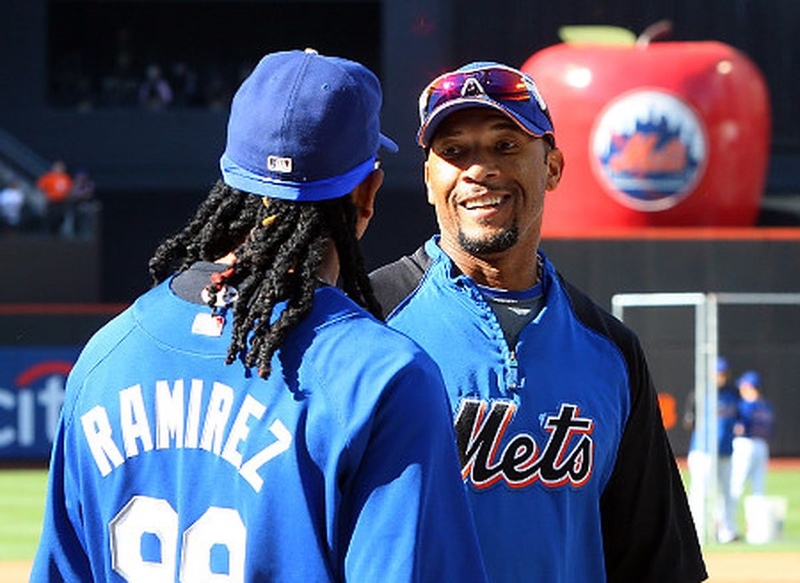 The Mets pitching staff is easily one of the best in baseball and they need to pitch. Forget about pitch counts. Bring back the complete game!! We cannot return to a world where Jacob deGrom or Thor would be brilliant for about sixinnings, reach the 100 pitch level, get lifted for an inferior reliever, and ultimately suffer a no decision when the bullpen blows the lead. If deGrom, Thor, Zach, and company are allowed to do their jobs, we win. If you take them out because some actuary says so, then we lose. It’s that simple. Maybe, just maybe, Mickey will use the designated hitter to get his starters deeper into games. If he does, I think we’re playing deep into October.